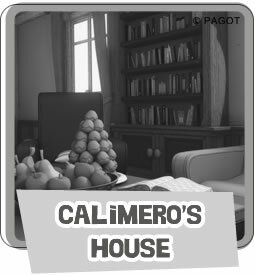 Calimero's new adventure: he moves to a new house and a new town. 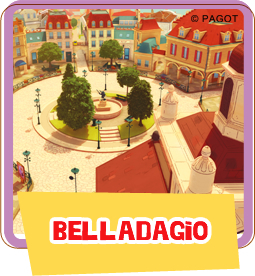 For a little chick who grew up in a small village, Belladagio is a very big town and his new home is very different from what he was used to: it has 4 floors and looks like a "cheese slice" says Calimero, looking at it. As soon as he enters the house he discovers that it's really a lovely house and at the very top, there's his very own room that has an egg-shaped window from which he can see the stars. Calimero lets out a sigh whilst thinking about Priscilla and their two houses next door to each other in the little village of Ovate. And, as if by magic, from the window he can see Priscilla calling him. Priscilla too has moved to Belladagio in the house next door to Calimero's. Once again, they will be living very close to each other. And there's also Piero living in a big villa near the lake and Valeriano will get the bus everyday to go to school and to be with his friends. 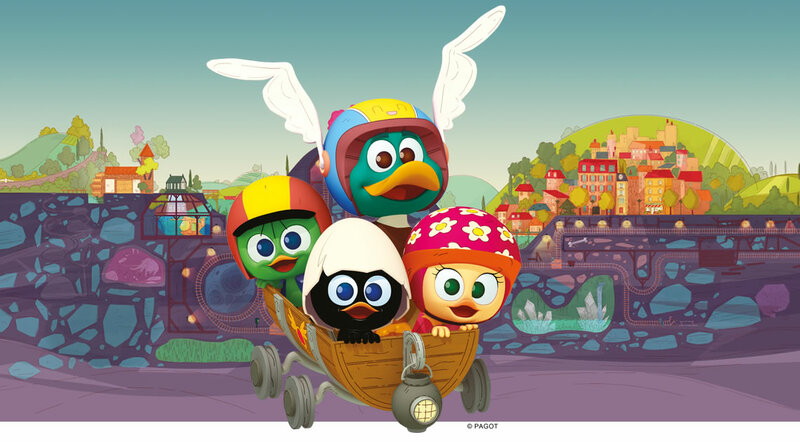 Calimero, Priscilla, Piero and Valeriano, together once again, ready to discover the town: there are many shops, an ice cream shop, a toy shop, a cake shop, a book shop, a cinema, a park, a statue of the Cavalier of Belladagio and many roads you can walk down or ride your bike on. Calimero has never been so happy. He's with his friends once again, and this is just the beginning of their adventures in this new town! By the lake, surrounded by a big garden, there's the Mill that belonged to Calimero's great great grandfather, Do Vinci the inventor. 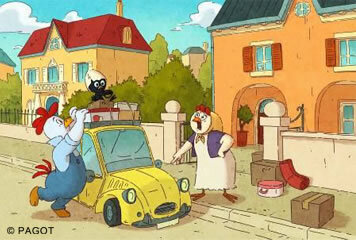 This is a great place for Calimero and his friends to play. 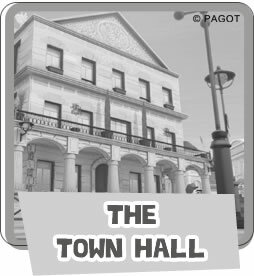 Even Calimero's house belonged to his great great grandfather and it hides a secret that the children will soon discover: there's a secret passage in the living room that leads to the Mill. 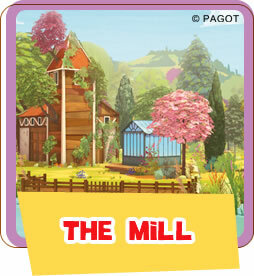 The Mill was the laboratory of Do Vinci the inventor. This is where he kept all his books, his inventions and the strangest and the most incredible machines. 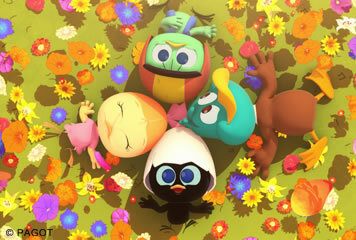 In this wonderful place Calimero is joined by his 4 friends who are fascinated by what they all see. The children understand that the Mill Laboratory is a special place which needs to be guarded. The 4 friends will keep their secret safe for it is from the Mill that the children set off on their many adventures! FOLLOW THE SERIES ON TV, DISCOVER WHERE! CALIMERO CGI © 2018 Gaumont Animation, Gaumont Television, Studio Campedelli, TV Tokyo, Kodansha, Calidra, Pagot. All rights reserved.